A bunch of recent and contemporary elite triathletes have had problems with heart disease. I thought I’d gather some of their stories here….and I’ll try to add to the list over time. Please post a comment to let me know who to add. The collection of stories shows the variety of heart problems that confront endurance athletes and certainly makes the point that fitness does not always equate with heart health. I haven’t met any of these athletes, and outside of a few emails and Twitter conversations with a couple, I know their stories only from what’s been reported in the popular press or shared at the athletes’ blogs or websites. So I’ll apologize in advance if I have any of the details confused….and be prepared to set the record straight, if need be. I’ve done my best! 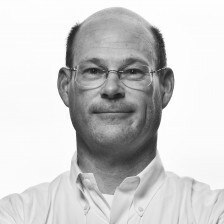 Steve Larsen was a former American professional road cyclist, a teammate of Lance Armstrong on the Motorola cycling team, who also enjoyed successful careers with mountain biking, track cycling, and cyclocross before turning to triathlon. Larsen’s career is well chronicled in an article at Slowtwitch. He collapsed with sudden cardiac death during a track running workout in Bend, Oregon on May 29, 2009 at age 39 and is survived by his wife and five young children. An autopsy showed severe coronary artery disease (CAD), blockages in the coronary arteries that are the typical cause of myocardial infarction, or “heart attack.” Dr. Alex McDonald offers a nice article about CAD and its implications at xtri.com. I’ll also share a link to a website with a collection of photographs and kind rememberances about Larsen. Torbjorn Sindballe was a Danish professional triathlete whose career highlights include wins at the 2000 and 2006 ITU long course world championships and a 3rd place finish at the 2007 Ironman World Championship (pictured above). Starting in 2005 he was bothered by intermittent chest pains and underwent evaluation that showed he had a bicuspid aortic valve (BAV). I’ve written about this condition here at the blog. At the time of his diagnosis, his aorta had a normal diameter and there was no problem with the aortic valve. He continued to compete, with occasional re-evaluation. On June 30, 2009 he announced his retirement from triathlon, citing concerns about enlargement of the aorta or damage to the aortic valve with continued participation. There is a great Q&A with Sindballe in an article at Slowtwitch where he is very candid about his heart problem. Sindballe now exercises recreationally and is a member of Ironheart Racing Team, a Seattle-based team of multisport athletes from all over the country (and world) with various heart problems. Normann Stadler is a retired German professional triathlete whose career highlights included wins at the 2004 and 2006 Ironman World Championships. 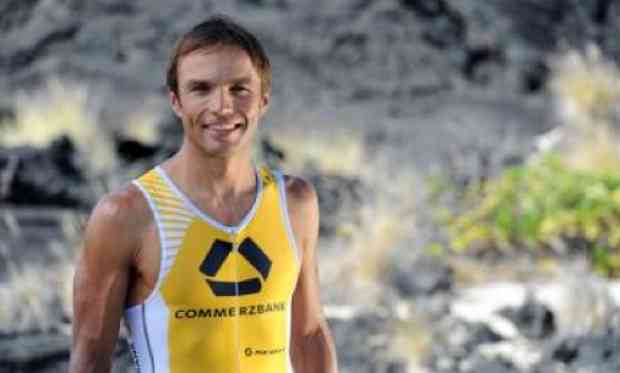 More recently, as shown in the picture, he was a member of the Commerzbank Triathlon Team. In the summer of 2011 he was bothered by chest seemingly mild breathing difficulties and an unexplained fall-off in performance and sought evaluation. He was found to have bicuspid aortic valve (BAV), severe aortic valve regurgitation (leaking), and a very large (7 cm) aortic aneurysm of the ascending aorta. He underwent urgent surgery on July 4, 2011 for repair of his aortic valve and replacement of the beginning portion of the aorta. I’ve written here at the blog about athletes and BAV and shared some thoughts in an article at Endurance Corner about the surprising turn of events for Stadler. Stadler gives a great interview with Bob Babbitt, sharing his thoughts about his heart troubles. It’s a remarkable story. Samantha Warriner is a professional triathlete from New Zealand whose career includes an overall ITU World Cup series win. She recalls problems with irregular rapid heart beat as a child, but no specific diagnosis was made back then. This arrhythmia problem became worse as her career progressed in triathlon and was particularly bothersome in the 2010 season and especially during the run portions of 70.3 races. She can recall episodes where her heart rate would be as high as 230 beats per minute. With careful evaluation, she was found to have a supraventricular tachycardia (SVT)–ana rhythmia that involves the upper chambers (atria) of the heart–and underwent a successful ablation procedure for this arrhythmia at age 39 on December 1, 2010. 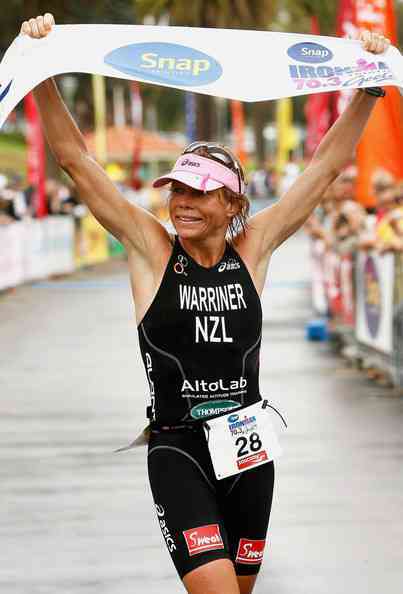 She made a quick recovery and went on to be the winner at the Ironman New Zealand race in March, 2011, just 3 months later. You can read an interesting Q&A with Warriner in an article at Slowtwitch. Erin Densham is a professional triathlete from Australia whose career already includes an U23 world championship in 2006, a 22ndplace finish in the Olympics in 2008, and a bronze medal most recently at the 2012 London Olympics. Thinking back, she can recall troubles with a “racing heart” early in her childhood. Her difficulties with an arrhythmia were very evident when she had to be rescued from the water at the 2009 Hy-Vee Triathlon in Des Moines, Iowa. She was found to have a supraventricular tachycardia (SVT) and underwent a successful ablation procedure after in December, 2009. Since then, she reports that she’s had no problems with recurrent arrhythmias. 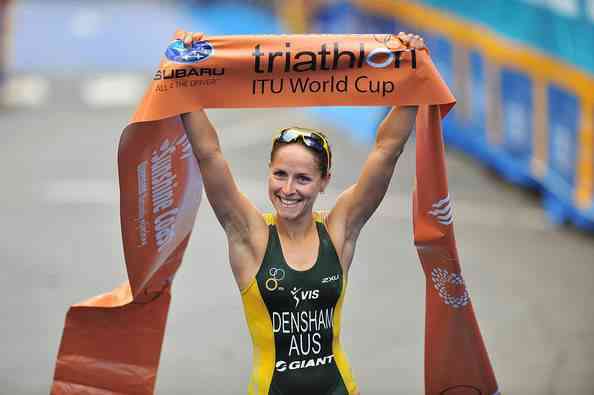 You can read more about Densham’s story in an article at Inside Triathlon. Gina Ferguson (Crawford) is a professional triathlete from New Zealand with multiple Ironman victories to her credit. Her heart troubles came to light after she fainted after the bike portion of the 2009 Challenge Roth triathlon and was unable to finish the race. Ferguson shares the tale at her blog. She was found to have bicuspid aortic valve (BAV), a congenital condition where the aortic valve has 2, rather than the normal 3 cusps. I’ve written about this condition here at the blog. She presumably has no significant narrowing (stenosis) or leakage (regurgitation) of the valve and no enlargement of the nearby aorta. She continues to train and compete, with periodic monitoring of her condition. 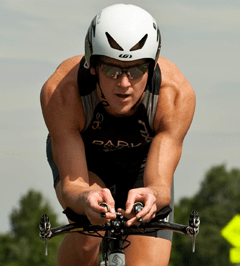 Justin Park is an American professional triathlete whose heart problems date to his high school days. He had several episodes of fainting, or syncope, and was found to have congenital long QT syndrome (LQTS). I’ve written about this condition here at the blog. Individuals with LQTS are predisposed to have episodes of syncope or even sudden cardiac death, so Park received a recommendation that he not continue to participate in sports. A number of years later, his physicians determined that his risk for these problems was not high and he took up triathlon. Interestingly, he has also had difficulty with at least one episode of atrial fibrillation in 2010 that may have been due to underlying thyroid disease. He writes about these issues at his blog. 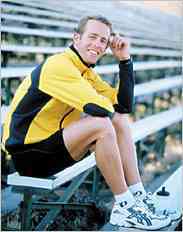 Greg Welch is a retired Australian professional triathlete with a storied career at all distances of triathlon. His victories include the 1990 ITU World Championship, 1993 World Duathlon Championship, 1994 Long Course World Championship, and 1994 Ironman World Championship. His first problems with heart disease manifested during the swim portion of the 1999 Ironman World Champship. He had trouble with breathing that he described as asthma-like. He continued on in the race, had multiple episodes of near-syncope (blacking out), and struggled to an 11th place finish–a remarkable feat. He would go on to compete a week later at the Xterra World Championship before seeking complete evaluation. He was found to have ventricular tachycardia (VT). He’s had a number of heart procedures, including implantation of an internal cardioverter-defibrillator (ICD) that can provide a life-saving shock should the arrhythmia recur. Chris Legh is an Australian professional triathlete who has enjoyed considerable success over many years in long course triathlon, with 2 Ironman wins and many 70.3 wins to his credit. He is also a 6-time Australian champion in Xterra. Starting in 2003 he had difficulties with breathing during the later stages of races that prompted evaluation that disclosed a patent foramen ovale (PFO), a type of atrial septal defect (ASD)–a (usually) small hole in the heart between the left and right atrium. In his case, there must have been enough blood flow through that opening to cause fluid build-up in the lungs and difficulty breathing. I’ve written here at the blog about athletes and ASD. In a Q&A with Slowtwitch, Legh talks about this condition and other health problems he’s dealt with in recent years. Emma Carney is a retired Australian professional triathlete and one of the greatest Australian triathletes in history. 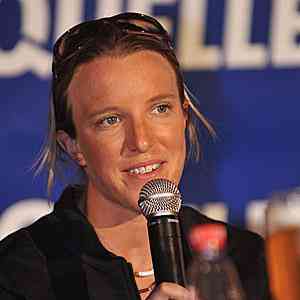 She claims 19 ITU World Cup wins and ITU World Championship titles in 1994 and 1997. She retired from competition in 2004 after suffering a sudden cardiac arrest from which she was successfully resuscitated. Her arrhythmia was ventricular tachycardia (VT) and she underwent implantation of an internal cardioverter-defibrillator (ICD) that same year. Although she was advised not to continue in sports, for fear of recurrent arrhythmias that might cause loss of consciousness as well as a shock from the ICD, she continues to train and compete in various endurance and multisport events. I’ve written here at the blog about a unique registry at the Yale University School of Medicine, where athletes with an ICD who choose to exercise/train/compete are followed longitudinally in an effort to quantify the actual–not just predicted–risks to the athletes. Amanda Lovato is an American professional triathlete who focuses on long course triathlon. She recalls being bothered as early as 2003 with abnormally high heart rates, seemingly without explanation, during both training and competition. Her condition was recently diagnoses as a supraventricular tachycardia (SVT) and she underwent a successful ablation procedure in November, 2012. At her blog, Lovato writes about the troubles leaading up to her diagnosis and shares her experience with the ablation experience and returning to training. You could add some more elite NZ athletes – Hamish Carter, Rob Waddell, Haydn Roulston. Thanks, Sally. Perhaps time for an update, or volume 2! Sam was 39, not 29, when the condition became worse and we sought treatment. Regards. Thanks for catching my mistake, Stephen. I’ve corrected the post. Maddy Tormain who i believe was world duathlon champion has a pacemaker, not sure of the exact issue, and of course i have had one since 2001, my issue 3rd degree heart block. There are tons more too, some pros and many elite AG’ers. I believe Joe Bonness has suffered some issues, don’t see him on the starting line anymore. And not a triathlete, but Miguel Indurian a five time TDF winner has one too, i think for similar issues to mine.. Thanks for the additions to the list, Monty. Hope you’re doing well. As you know, heart problems are common in athletes of all ability levels….and they come in a wide variety of forms. One take-home message is that even very fit individuals can have heart problems. Nobody is immune. Mark, do any of these athletes continue to exercise? How about you? I am an avid runner and cyclist, recently implanted with an ICD and on beta blockers for sustained vt. Just curious what the triathletes above (with vt) are doing these days for exercise? I just started back to running, at a much lower level. I approved your comment for posting, hoping that perhaps others with an ICD will reply about their activities. For many individuals with an ICD, the current consensus guidelines recommend against exercise. We’re still learning in this area….and from the stories of athletes who are still participating in sport, usually without their doctor’s okay. Thank you! Hope others do chime in! I had an ablation in January 2013 for SVT. It was deemed unsuccessful because of ‘unusual av node anatomy’ and a pathway that was too close to the av node. My EP suggested cryoablation for the next round. However, I didn’t experience another episode despite 4 half Ironman races later. But, it happened again for the first time last month. (I must add it was a very stressful month!) Iv’e had 3 episodes, about 11-12 days apart and always while I’m running. I don’t feel faint, sick, or pass out, it’s just a nuisance trying to do the usual things to get it to stop and then I can take off again. So here’s my question. My cardiologist says a second ablation is high risk. I’m adamant that I don’t want to be on medication. I’m really content to live with it and handle the odd episode as it comes up. But I also wanted to sign up for Ironman in 2015! My coach has suggested we train keeping my HR low, at around 150-156 as my episodes seem to kick in when I do high interval training. My doctor says this type of SVT isn’t particularly dangerous, the only complication would be potential dizziness or an episode happening in a race. How realistic is it to keep training with untreated SVT? Will it get worse? Can it damage the heart long term? Thank you! Thanks for sharing your experience, Michelle. Yes, ablation for SVT is sometimes not possible. Your EP cardiologist will be in the best position to offer advice about the potential success of another attempt….and which method might provide the best chances for success. You describe the typical symptoms of SVT. No doubt, many athletes put up with diagnosed SVT….and many more put up with us diagnosed SVT. Syncope–or blacking out–might be the most serious symptom and this can be particularly problematic if you’re swimming or biking. You ask about SVT causing damage to the heart. In general, that wouldn’t be the case, particularly if episodes are infrequent. All of these issues are fair ground for ongoing discussion with your cardiologist(s). I experience SVT during running and generally when I’m pushing it. Typically I run 10k type distances and find it kicks in 35 minutes + when I’m usually pushing for the finish. Best case I’m close enough to finish and just tolerate the raised HR. Today was a XC and it kicked in (HR a steady 180 before kicking up to 225) at 38mins of what would have been a 45min race, I had to jog in and finished in 47min – with my HR at 220 as I crossed the line. This is when it’s really frustrating, being passed by people that shouldn’t! And losing minutes I’ve run hard to gain. I have had it kick in 20 mins in, then it’s game over and Im forced to stop for 2/3 minutes until it passes. I’ve been carrying a portable ECG (hand held and attached to my phone) so have captured a few episodes, but they’ve not been able to capture it on a 12 lead, despite doing a 24hour record (I ran hard 3 times with it on but it didn’t trigger), and also having an exercise stress test. I had an EPS three weeks ago, but it was unable to induce anything so they couldn’t ablate. I’m interested to know if EPS can be successful in follow ups? And if my symptoms being triggered generally after a sustained period of effort would be limiting for an EPS? I have a follow up with my cardiologist next week, to discuss next steps. Finally, I don’t suffer dizzyness or anything physically debilitating when it happens it’s more confidence of pushing too hard and passing out! What are the long term effects of running through it and not stopping? Sometimes it can be very difficult to capture arrhythmias, like you’ve noted. The result is that treatment is hard to engineer. Yes, sometimes repeat a EPS might shed light. There are also longer term (eg, 30-day) event recorders that can be used to allow more time for an arrhythmia to occur. Very often, athletes are able to get a recording within 30 days if they exercise often and their arrhythmia occurs only with exertion. Things have moved on a little and following a period of monitoring with a 14 day monitor I was able to capture 2 SVT runs, this was enough to justify a further EPS, this time for a longer duration (4 hours) and with 3d mapping used to better analyse the origin. Thanks to a more aggressive pacing strategy they were able to induce the SVT and some symptoms of AF (flutter), which resulted in 2 areas being ablated. I’m now 5 weeks post op and have experienced some further SVT, again captured on a 14day monitor, this time symptoms are less aggressive and resolve a lot quicker, often intra run without the need to stop. I intend to assess of I can now live with this before considering any further EPS. Thanks for sharing the follow-up, Daren. Readers here could learn a lot from your experience. It’s a very common story. Just an update about my condition. After all sorts of invasive tests, it is believed to be a bout of myocarditis that caused inflammation or mild scarring on my ventricle. I have been running, and have been given the go ahead by my doctors, who are top in their field. Granted I cannot race nor do heavy mileage, but I am happy to be out there running and I run at least 4 or 5 days a week. I also was told that I can be weaned off the beta blockers in March of 2015 (one year after my incident). I will continue to have the ICD. I asked this before, but I am curious as to the training regimens of others (triathletes etc.) similar to my situation, who have suffered a VT. Also are they on medication, or do they only have an ICD? I had an ICD implanted in March of 2016, after experiencing some chest tightness the previous May. Following a stint in hospital I returned to running improving rapidly over 12 weeks to point where I could sustain 4-4.5 min km pace for 5-10k. It was a stress fracture, probably caused by taking a steroid to reduce cardiac inflammation that halted my exercise. I have been diagnosed with cardiomyopathy after a bout of myocarditis. after recovery from the stress fracture and implantation of the ICD, I am back running, albeit slower and steady. I hope to make it back to a long run of 16-20k and running some 5k races at submaximal effort in 2-3 months. Currently running 3 x week and cycling 1 day plus walks and weight training. Hi Pat, just an update regarding me. I just had a successful ablation 6 weeks ago. It was successful because they were able to induce the VT in the EP Lab and ablate it. They had to go into the interior of my heart and the exterior but they got it. The cause is still unknown as they also did a biopsy with negative results. My meds have been reduced significantly, which makes a lot of difference from zombie and shuffler to mental clarity and actually able to jog, which I have begun to do just recently. I hope to come off the teeny dose of meds I am on too. But I am grateful for the doctors in helping me get my life back. The ICD remains in. Glad to hear things are on the improve. Good luck, it certainly helps you feel normal when you can get out for decent workout. I was diagnosed with non sustained vt after fainting after a run/bike workout. I had never had any symptoms after 2 ironman competitions and hundreds of half, Olympic and sprint triathlons. Now however, things have gone downhill fast. I recently started getting episodes where my heart would shoot up over 200 and I would begin to black out, after a hard workout. Now over the course of two months, I have going from running comfortably at a 6:30 pace to being barely able to run a 10 minute mile. The doctor wants to ablate. Anyone know of someone who has had vt, had an ablation and was able to go back to competing or at least training? I am scared to have the procedure done but I want my life back. Vt is more serious than svt, I’m told. Is that correct? Thanks for sharing your story, Virginia. Maybe somebody will chime in to share their experience. There are certainly athletes who’ve returned successfully to their sports after VT ablation. Not sure that one type of arrhythmia is “more serious” than the other. Hi Virginia, while I certainly am not an elite athlete by any means, I am an avid runner and formerly competitive prior to my incidents. I experienced black out on a long run than a month later sustained vtach on another long run. After ever test imagineable, docs could neither induce the vtach nor figure out the cause, and I am seeing some of the best in the country. I was implanted with an ICD last April and on a minimal dose of sotalol. I am running and working out, docs gave me the go ahead, but I am not nearly as fast as I was and I now wear a HRM religiously. My mileage is lower and I no longer train extremely hard like I used to, but I run up to 5 miles 5 days a week, and keep my HR under 80%. No episodes in a year and I feel great. See what your docs say. I do know ablations are hit or miss. Wish you luck!! Hi Virginia, I just had a successful ablation 6 weeks ago. It was successful because they were able to induce the VT in the EP Lab and ablate it. They had to go into the interior of my heart and the exterior but they got it. The cause is still unknown as they also did a biopsy with negative results. I was diagnosed with exercise induced sustained VT two years ago and an ICD was implanted then and I was placed on a lot of Sotalol which made my life miserable. Two years later, 6 weeks ago the ablation. My meds have been reduced significantly and to a different brand altogether, which makes a lot of difference from zombie and shuffler for two years to mental clarity and actually being able to jog, which I have begun to do just recently. I hope to come off the teeny dose of meds I am on too. But I am grateful for the doctors in helping me get my life back. The ICD remains in. Would love to know how you are doing. Feel free to email me and post your updates. Always enjoyed this article in particular and going through the list, I noticed you don’t have Javier Gomez on it. I don’t have many details but I understand he indeed also has/had cardiac issues – and we are talking about an active triathlete and current ITU champion. If my info is not wrong (seems he is not forthcoming with this) – only goes to show how much us cardiac athletes can still accomplish! thank so much for your information. I think you should add some more elite. After three years of chasing the cause of exercise induced tachycardia and decreased cycling and running performance, I was recently diagnosed with cardiac sarcoidosis. I’m scheduled for additional testing in early March to determine what drug therapy (steroids vs. immune suppressants) and to determine if the damage to my heart (from inflammation) requires a ICD as a safety net. Just wondering how much my cycling will be affected by the ICD? The thought of being shocked while cycling is unsettling. I enjoy reading your blog in a sort-of masochistic way. I’m 69 next birthday and been an athlete since 9 years old…running, surfing, windsurfing, swimming and since 1994 a triathlete. Done 10 full IM’s, 30 Half IM’s and about 100 sprint and shorter distances. Best efforts, 5th in the world in my age group at 70.3 at age of 65 and 10th in the Hawaii IM when 60. Then last week, whilst having dinner with my wife, I fainted. I then fainted twice more in the next two days. Of course I have “athletes heart” which, now has been fitted with a pacemaker. Syncope at the dinner table or in bed is OK but not whilst driving or on your bike. My cardiologist says this is quite common amongst us older endurance athletes and my pacemaker has put a 50 beats per minute floor under my aging heart. He says, keep doing what you’re doing as the upside beats the downside and you now have a bit of an insurance policy fitted under your left pectoral muscle. I hope my story helps other athletes who may be upset by similar events in their life. Enjoyed reading your blog post.